Campers participate in all organized or unorganized, group or individual, activities at their own risk. Parental supervision of children is essential at all times. Campers are responsible for damage caused by any, and all, members of their party. For the security of our guests, please have your visitors stop at the office and say “Hi”. We chase all unfamiliar vehicles. 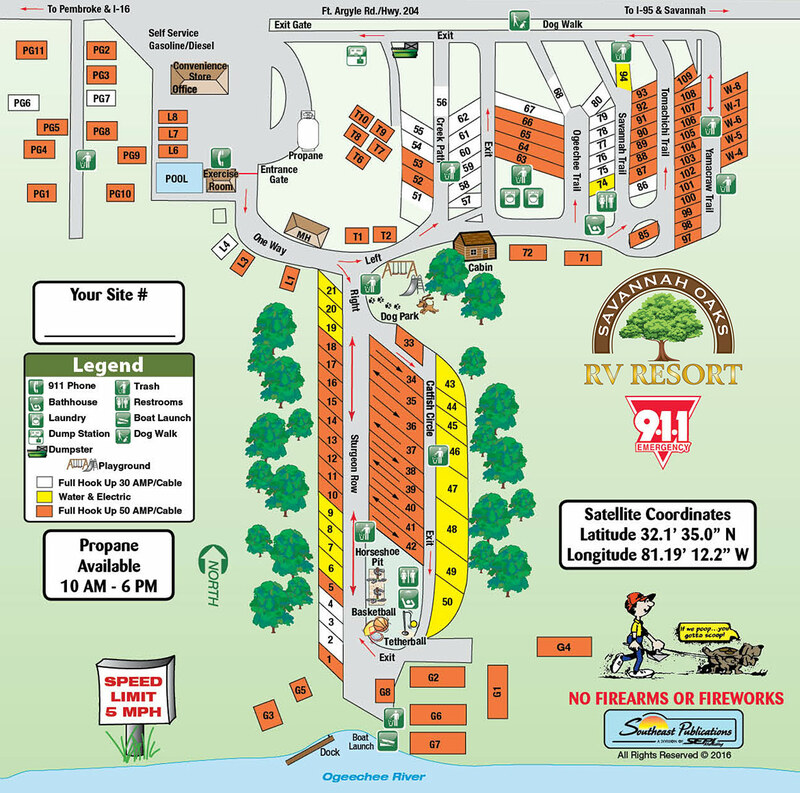 Visitors are expected to observe all Campground Rules and Regulations as well as respect the rights of others. For Everyone’s Comfort: Pets must be on a lease, attended at all times, walked in the posted dog walk areas, cleaned up after, and are not allowed near or in buildings or pool. Pool is to be used at your own risk. No lifeguard on duty. Pool Hours 10:00 AM - 8:00 PM. For safety, you must supervise and maintain responsibility for your children under 12. No food or drink allowed in pool area. Other rules are posted. Registered guests only. No wet bathing suits in office or store. Quiet time is from 10:00 PM to 7:00 AM on weekdays and 11:00 PM to 7:00 AM on weekends. No motorbikes or cycles except for entering and leaving. No golf carts. Bathrooms are cleaned between 11:00 AM and 6:00 PM. No clotheslines on trees. Use clotheslines behind laundry. No washers or dryers allowed overnight or monthly. Please put garbage bags in trash bins. Above ground fires only. Never leave fires unattended. Do not put, or use, BBQ grills on picnic tables. Emergency messages will be delivered to your site; all others will be posted at office. No car or RV washing on site or mechanical work of any kind. No tents, screen rooms or canopies.